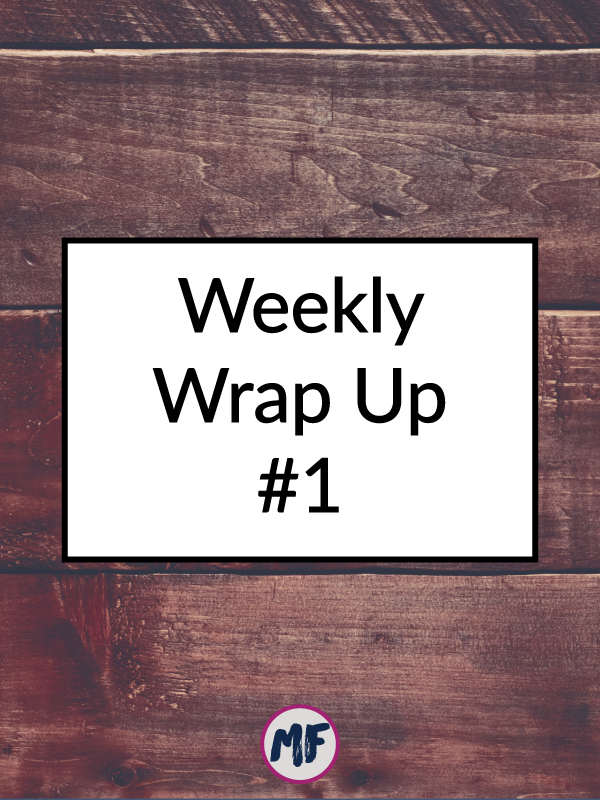 I'm always looking for the best ways to make sure that I provide valuable content, so I'm experimenting with a new weekly wrap up post. My goal for this is to just recap anything I posted on the blog this week, share any news and research that I came across over the course of the week that I think would be valuable to share, and then throw in a few other useful bits and pieces. The people who read this blog are an interesting mix of people who are all about the science (like myself) and others who just want practical advice that they can easily apply, so I'm hoping that this weekly wrap up post can be a good solid mix of those things. I'd love it if you'd leave me a comment or shoot me an email with feedback about how you like this format and if you think it's helpful! This study from 2017 found that a 6 week non-energy-restricted ketogenic diet had a "mildly negative impact" on physical performance (endurance, peak power, time to exhaustion). Vo2 peak decreased (though when expressed per kg of body weight there was no change), peak power decreased by about 4% and the rate of perceived exertion increased slightly (so people felt they were working harder but were putting out less power overall). Blood sugar and insulin levels improved significantly and bodyweight decreased by an average of 2kg. The conclusion from this study is that a keto diet doesn't impact physical fitness in a "clincially relevant manner" that would have an impact on daily life activities or aerobic training, but if you are an athlete, you may want to consider a different approach (unless you want less power, to feel like you are working harder, and have a shorter time to exhaustion). Dark chocolate reduces stress and inflammation, improves mood and cognitive function in humans. Consuming dark chocolate that has a high concentration of cacao (70% cacao, 30% organic cane sugar) has a positive impact on stress levels, inflammation, mood, memory, and the immune system. This is the first time that the positive effects of flavonoids (found in cacao) has been studied in humans. The first study found that cacao consumption up-regulates intracellular signaling pathways that are involved in T-cell activation, immune response, and the genes involved in sensory perception. The second study assessed EEG responses in those consuming dark chocolate and found that it enhanced neuroplasticity for behavioral and brain health benefits. Low FODMAP diets are an excellent first-line defense in treating IBS, but should not be used long-term, as long-term use may negatively impact the gut microbiome. Ideally, a low FODMAP diet should be followed for 4-6 weeks and after that follow-up should be done in order to reintroduce FODMAPs while still maintaining symptom relief. Let go of negativity and replace it with positive actions while also supporting motivation. Add the essential oils to a 10mL glass roller bottle and top off with fractionated coconut oil. Apply to your wrists and over your heart throughout the day or add the essential oils to a diffuser (use half as many drops of each with a diffuser). Letting Mother Nature reclaim farmland produced breathtaking results. Why athletes are swapping ibuprofen for CBD. When cardiologists are out of town at conferences, fewer patients die of heart attacks. Children are as fit as elite endurance athletes. Does coffee brewing method matter when it comes to health?